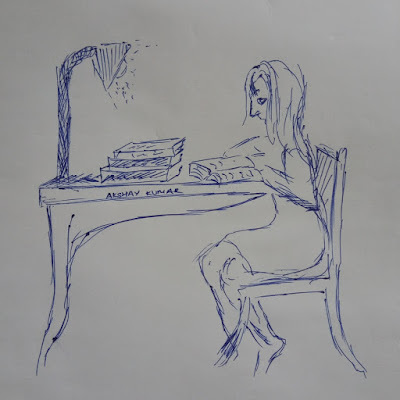 AKSHAY KUMAR: Drawing of a girl studying reading book on desk. 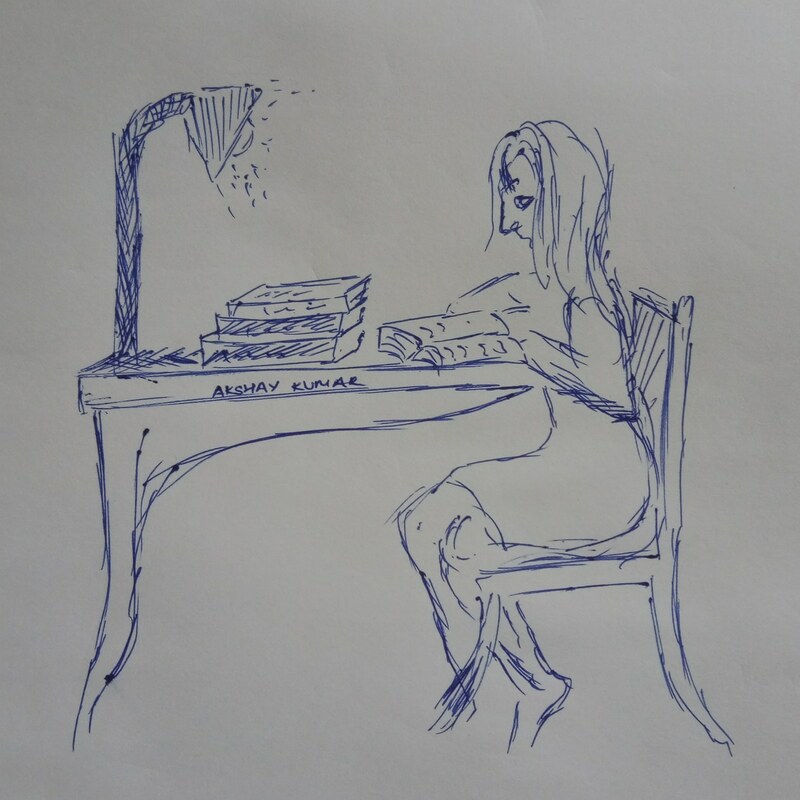 This is a pen drawing of a girl sitting on a chair and studying. The girl is reading a book. The girl is wearing a skirt and studying on a table or desk. Girl studying a book under table lamp. Girl preparing for her exams. Art by Artist Akshay Kumar.